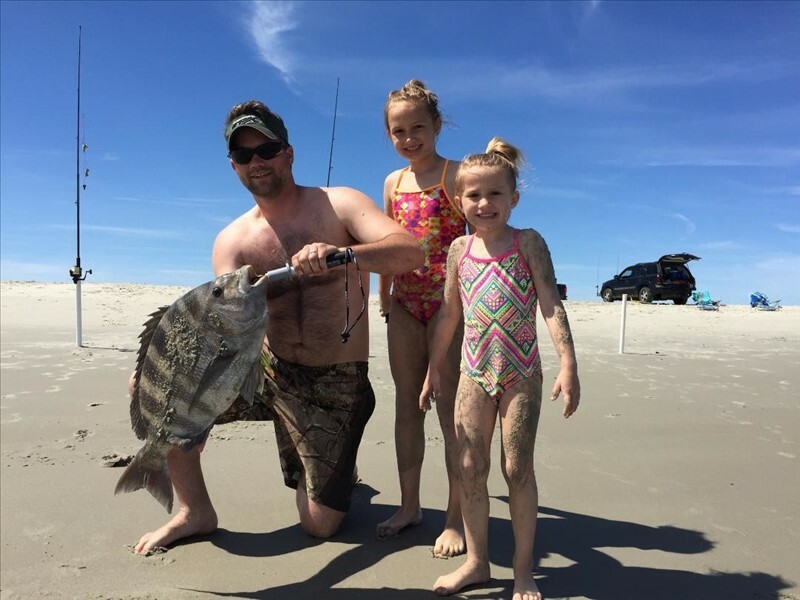 My nephew, a surf fishing novice, caught this nice sheepshead on the south end of Ocracoke April 11, 2017. He released it . That's a nice one! Congrats to him. That may have qualified for a NC Citation. Sheepshead must be 8 pounds. Looks very close. Not a common "Surf Fish" Normally found around Bridge Pilings, Wrecks, big Shellfish beds etc. Go catch another one.